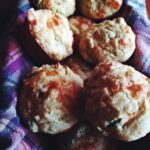 Start the New Year off on the right note by making your mornings easy and delicious with these Apple Cornmeal Muffins. One of the traditions meant to celebrate the completion of our planet’s annual trip around the sun is the making, and often breaking of, promises to ourselves in the form of ‘Resolutions.’ While some aim these promises as self-betterment, or goals for greater success, spiritual awakening, or greater self-discipline, most these promises are simply aimed at our waistline. After all, since we are all destined to hurdle through space at roughly 828,000km per hour, we may as look our trimmest for such a wild journey. I must admit that I myself gave into the temptation of that latter, waistline resolution. If you’ve been following the site, you are well aware of my attempts to tackle my own…eh, plumpness, and my journey through the deserts of weights and powders, preceded by stints of meaningless privation, and my eventual, usually unintended, abandonment of each. My Resolution this year, however, is to take a far more of practical, lifestyle orientated approach to looking my trimmest for this year’s solar journey. You see, I’ve learned, by way of unfortunate experience, that it is adjustments to the so called ‘little things’ that often end up having the largest impact on my waistline. Dramatic changes, on the other hand, have the nasty habit of possessing a shelf life inversely proportional to how difficult they are to abide by. Worse still, such drastic changes more often than not prove to balance out whatever good they do with an equal or greater amount of damage – my son’s shoulder still stings in the morning courtesy of his ill-fated iron-misadventure, which we briefly chronicled here. For example, one of my recent and minor changes was to my morning routine. 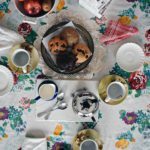 In addition to learning to enjoy my coffee either black or with just a bit of whole milk, I cut down on my overall morning portions. 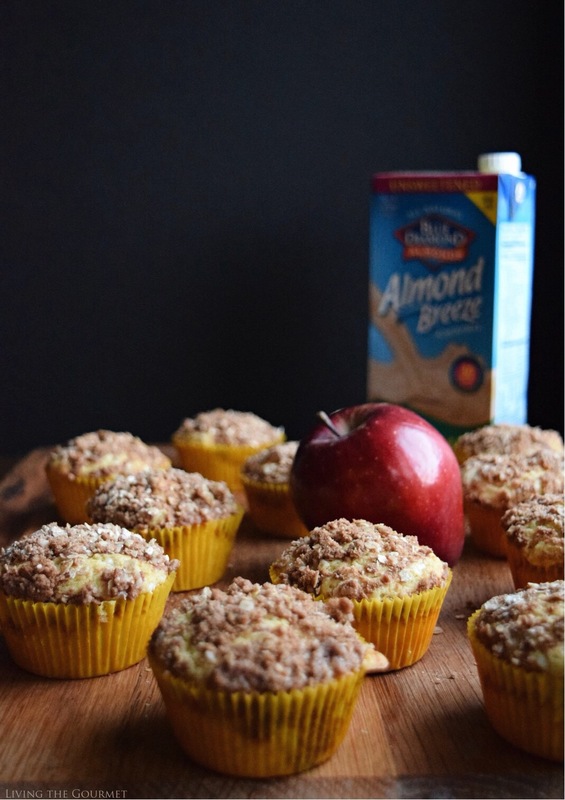 Aside from abstaining from any and all sweets that I would usually indulge in after breakfast, I’ve also cut down on my midafternoon snacks, often replacing them with today’s recipe – Apple-Crumb Cornmeal Muffins, which I add an extra dash of health and wellness to using Blue Diamond Almond Breeze Almondmilk. 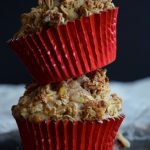 While combining some of the season’s best flavors, from baked apples to the brown sugar oatmeal topping, these are excellent to have on hand since not only are they easy to make, but they are an excellent alternative to other morning or early afternoon temptations. Sift all of the dry ingredients for the muffins into a large bowl. Make a well in the center and add the eggs, Blue Diamond Almond Breeze Almond milk and butter. Stir gently to incorporate the ingredients then add the diced apple and stir gently to incorporate. Do not beat batter. Place batter in prepared muffin tins or muffin pan cups. Combine all of the ingredients for the topping in a bowl and mix with a fork your fingers to a crumbly consistency. Top each muffin with the brown sugar oatmeal topping. Bake 15 to 20 minutes or until the toothpick test comes out clean. What were some of your New Year’s Resolutions? We would love to hear from you! I would love one or two for my breakfast! 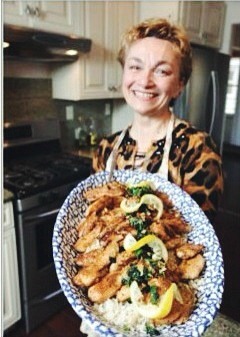 They look so delicious, Catherine. I've a friend who can't do without a bite of something sweet in the afternoon but is also trying to eat healthier. I'm passing this recipe on to his wife…she's going to love making them for him. They sound terrific. These are just gorgeous!! I need a couple of those with a huge cup of coffee right now! Catherine, I don't do New Year's resolutions...but I have re-started my weight reduction routine following the Holidays. High protein with lots of vegetables and fruit...cutting way back on the carbs, fried food, etc. 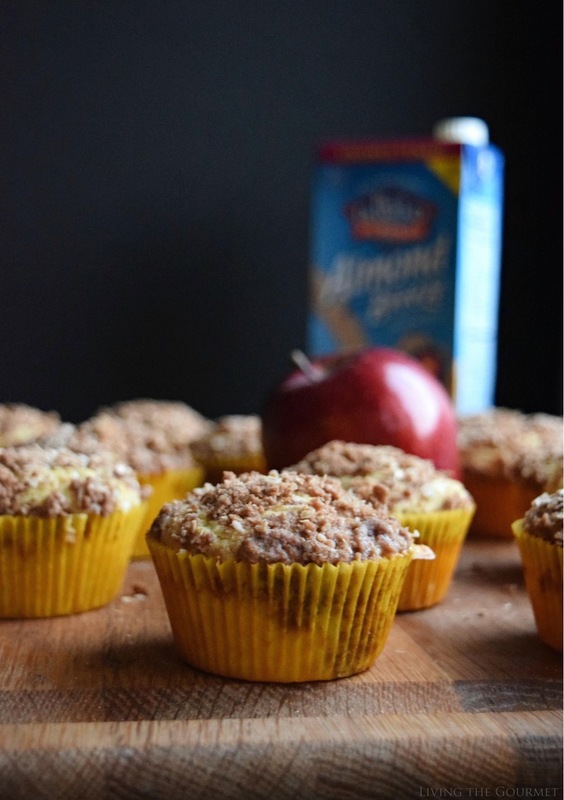 These relatively healthy apple cornmeal muffins sound like a nice treat. I already use Blue Diamond Breeze Almond Milk with my cereal as well as Splenda for a sweetener. I wonder if Splenda Brown Sugar would work with this recipe? We use it instead of regular brown sugar when we have oatmeal. Thanks for the recipe and Take Care, Big Daddy Dave . I totally need this recipe. I have the biggest sweet tooth and am really trying to curve it this year. These muffins look amazing! Oh my, these are so delicious Catherine. You and I are on the same wave length as far as resolutions and plumpness! I believe Winnie the Pooh also struggled with this. (plumpness, not resolutions.) And it was his friends who helped unstick him from the tree. And you are helping me with a lovely snack. Thank you, and cheers to a Happy New Year, friend! Hi Catherine, I'm with you on not making dramatic changes! It's all about those little ones for sure! Especially when those little changes involve muffins as glorious as these! 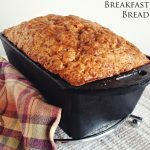 Love that apple and cornmeal combo with that Brown Sugar Oatmeal Topping - deeeelicious! I'm always up for a new muffin recipe. What a great way to start the year! 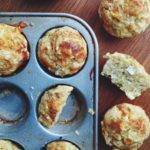 These muffins look andown sounds fabulous! The texture looks so inviting. Good luck on your weight loss journey. I lost 45 pounds 10 or so years ago and have kept it off. Exercise is important so is moderation with food. What really changed my life was cutting out sugary drinks (the only off limits food for me) and fast food. 4 tablespoons of baking powder? Really? 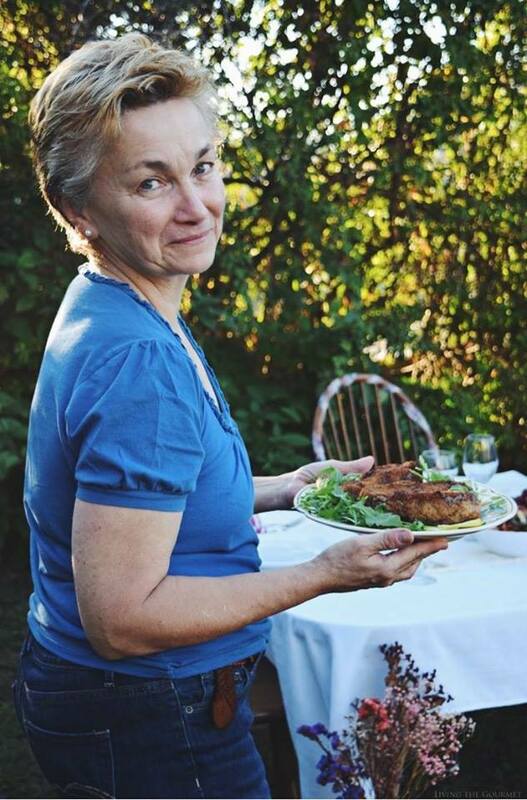 Dear Karen, Thank you for catching that! The correct amount is 3 teaspoons of baking powder! Thank you again. Enjoy! I look forward to making these and enjoying them. They sound delicious. These look so good, I wish I had one right now to go with my coffee! Hi Amber, I apologize for that oversight! These are baked at 350 degrees F. Let me know if you have any other questions. Enjoy!